Customise the jewellery tray by engraving it with your shop/company's logo to further impress your customers. The wide spectrum of colours available at Lucrin will allow you to find the colour combination which would suit your decor best. This jewellery leather tray is ideal for safes, especially those found in luxurious hotels. Clients may place their jewelleries (rings, bracelets, necklaces …) or watch in this leather tray before putting it in the safe. This may also be very useful to jewellers who store their products in their safe at the end of the business day. 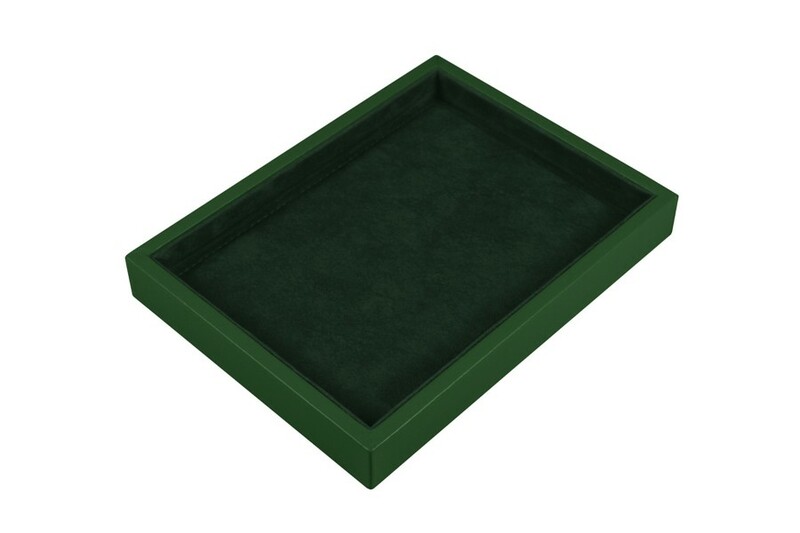 Furthermore, you can use this mini jewellery tray to display your creations. The microfiber interior provides protection as well as a glamorous look for your jewellery or other precious belongings.